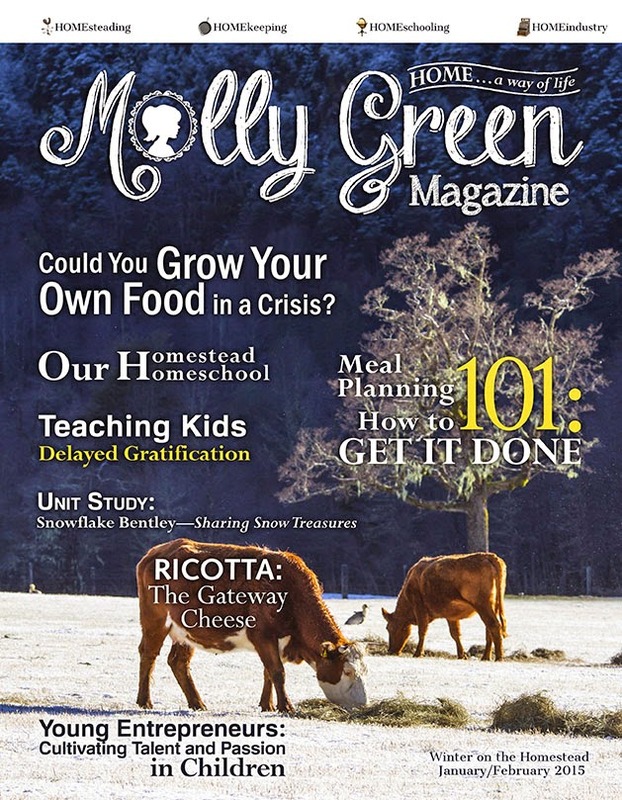 The latest edition of Molly Green is out! If you are not a current subscriber, please go ahead and subscribe. You will not be sorry! This edition has some fabulous homesteading and homemaking articles. My article on Ricotta Cheese is on page 50. Today we are experiencing another blast of cold Arctic air. Stay warm folks!